Which X-factors can change Semi-Final Sunday? TORONTO — Who can change a game in a single play? There are a select few of those guys around the CFL and on Sunday, with seasons on the line, these are the players to keep an eye on. We know that when it comes to the Winnipeg Blue Bombers, Matt Nichols, Andrew Harris and Adam Bighill are going to have a major say in the outcome of the football game. Ditto for Willie Jefferson for the Riders, Luke Tasker for the Tiger-Cats and Bryan Burnham with the Lions. But who are the X-factors in the CFL playoffs — the ones that fly under the radar but could easily come out and make the difference? After a hot start to 2018, Ricky Collins Jr.’s production has leveled off as of late but he could be the ultimate sleeper come Sunday afternoon. 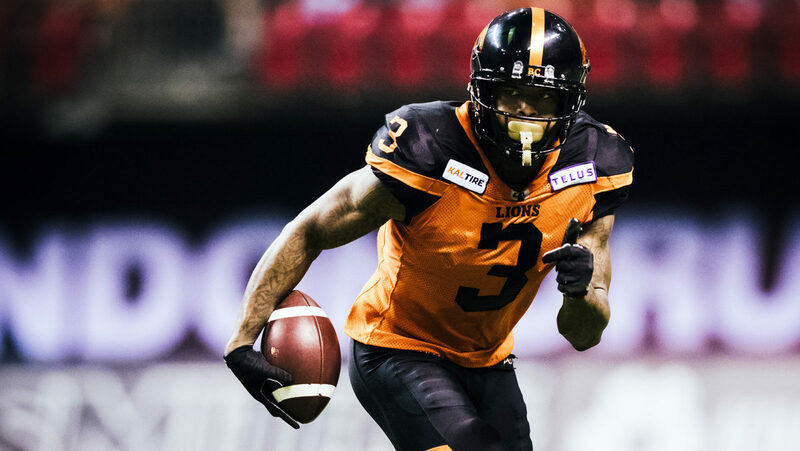 Lost in the addition of DeVier Posey, the return of Travis Lulay and the surging play of Bryan Burnham, Collins has shown the ability to be a reliable pass-catcher when called upon. Posey and Burnham will stretch the field one is likely to go up against all-star DB Delvin Breaux most of the afternoon. Collins could quietly put together a solid game on the strength of intermediate routes and catches in the middle of the field which can only help a Lions squad that needs to compete with a Ticats has proven it can control time of possession. An injury-riddled Hamilton receiving corps against a ball-hawk Lions secondary is a matchup BC will take every time, especially when they have two of the three league leaders in interceptions. One of those is DB Anthony Orange who has had a knack for making big plays. He will take risks and he will jump routes — giving up the odd big play in the process — but could give Travis Lulay ideal field position with a key interception or even change the entire game with a pick-six. In addition to flocking to the ball, Orange is as good a cover-DB as there is in this matchup which could bode well against a Hamilton squad that will need to find chemistry in the passing game in short order. The ultimate under-the-radar player in this game could be first-year Ticat Bralon Addison. A beneficiary of a receiving corps bit by the injury bug, Addison could find himself thrust into the spotlight. Most can’t imagine Luke Tasker not attracting the attention of the Leos secondary on Sunday and with Addison potentially playing in Brandon Banks‘ spot he could see a lot of targets come his way, especially if he can use his elusiveness to turn a routine catch into a big gain. In a linebacking trio that contains the always vocal Simoni Lawrence and the physically imposing Larry Dean, Don Unamba may not get the headlines he deserves but has been had as good a year as any SAM in the league. 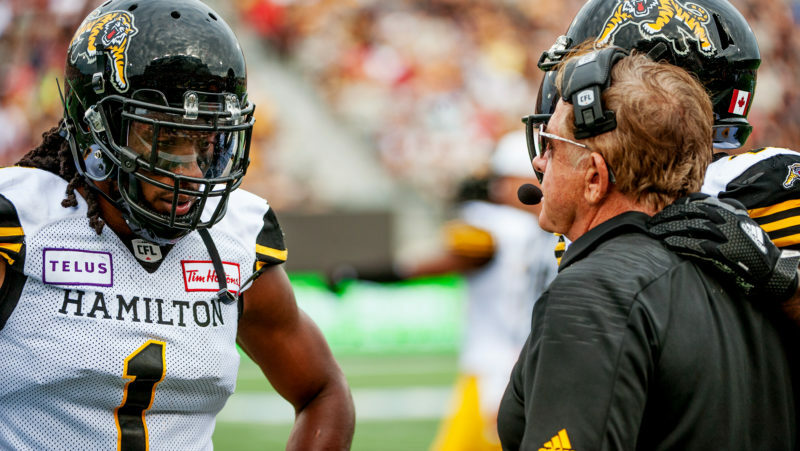 Unamba is a versatile weapon in the Ticats front seven and when needed can drop back and cover or minimize the gains of running BC backs who slip out to the flat. He is also a presence on the blitz, turning the edge quickly and forcing quarterbacks to make uncomfortable throws. After playing in all 18 games, Tre Mason is out with an injury, opening the door for Marcus Thigpen to share the Riders’ backfield with Cameron Marshall. Those two running backs complement one another, with Marshall getting the volume and Thigpen trying to get the ball in space. 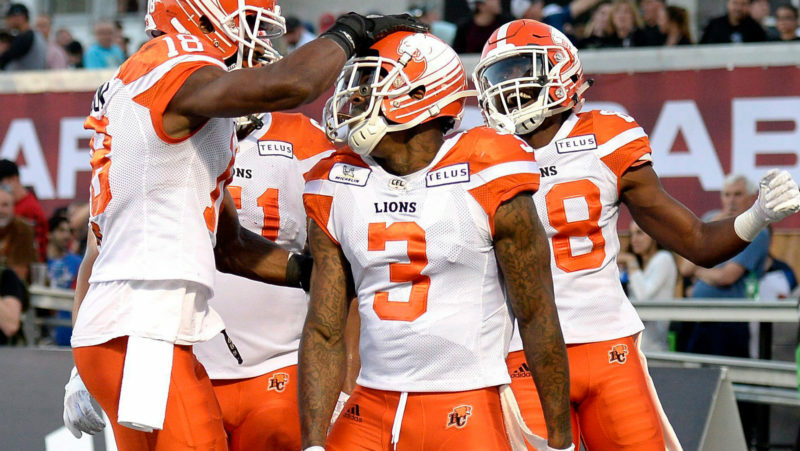 At 32, the recent time off can only benefit Thigpen, who’s still one of the CFL’s most electrifying players, as evidenced by his stunning 8.5 yards per attempt this season. Look for the running back/returner to make a game-changing play at some point. Sam Eguavoen isn’t one of the big names on the Riders’ defence, taking a back seat to players like Charleston Hughes, Willie Jefferson and Ed Gainey. But the third-year CFL linebacker has enjoyed a breakout season with the Green and White, racking up three sacks an interception and two forced fumbles. He also found the end zone twice. Eguavoen has had a knack for making big plays at crucial times, including a game-changing interception off Trevor Harris in the first half of last year’s Eastern Semi-Final. Bombers offensive coordinator Paul LaPolice will have to get creative against the CFL’s top defence, and Nic Demski could play a big part in that. 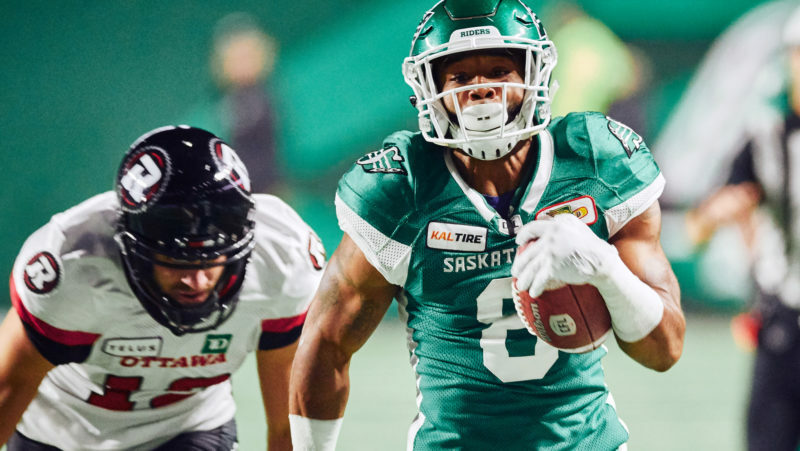 Andrew Harris and Darvin Adams will get the most attention from the Riders’ defence, making the former Roughriders draft pick in Demski an intriguing under-the-radar option in the Bomber offence. Look for Demski to get his touches in a variety of ways as the Bombers look to keep Chris Jones’ defence off balance. Kevin Fogg is one of the most underrated players, both on the defensive side and in the return game. He puts up the production on special teams, while his four interceptions, three fumbles and one pick-six put him in elite territory among defenders. 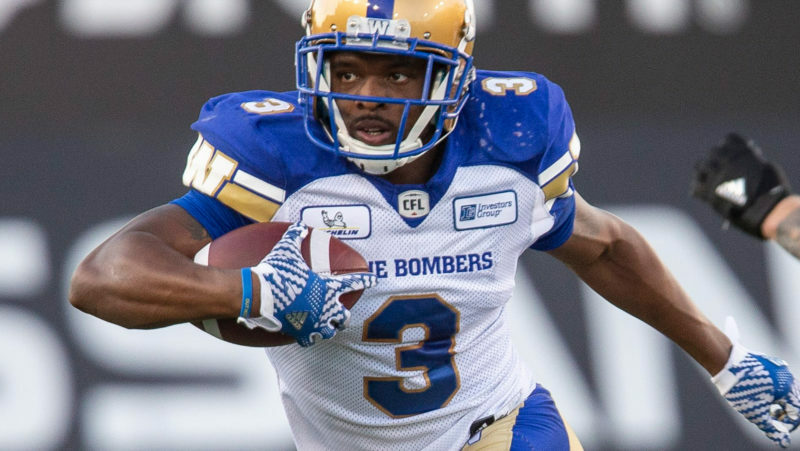 The Bombers lead the CFL with 151 points off turnovers and tied for first in turnovers forced (49) and turnover ratio (13+), something that is likely to play into Sunday’s game. Whether it’s on a big return or a pick-six, Fogg could be the unsung hero of the playoffs.